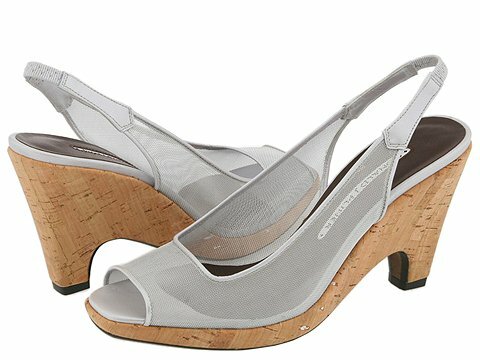 Fabulous open toe sling-back on a cork or straw wrapped platform wedge. 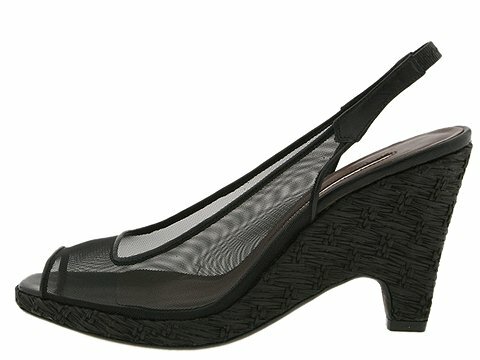 Mesh upper with leather trim. Elastic detailing on the sling-back strap for a great fit. Leather sole. Made in Italy.